Refer to the provided diagram. 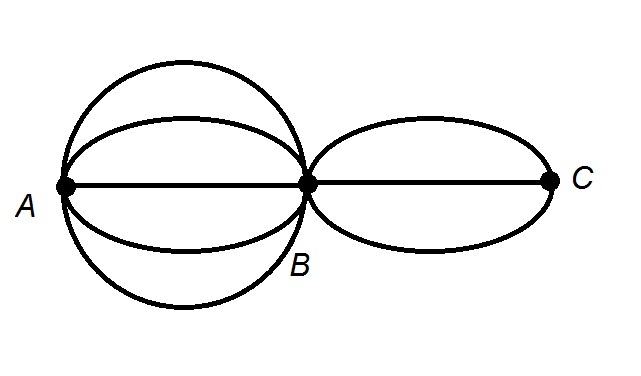 How many ways can a route be drawn that goes from Point A, through Point B, to Point C, then back through Point B, and back to Point A, so that no path is taken twice? The multiplication principle can be applied here. There are 5 ways to get from Point A to Point B, and 3 ways to get from Point B to Point C. Since traveling the same path twice is not allowed, there are 2 ways left to get from Point C to Point B, and 4 ways left to get from Point B to Point A. There are 120 possible routes.